(San Francisco, January 13, 2017) — After receiving 7,000 entries from 28 states across the country, the San Francisco Chronicle Wine Competition, hailed as the largest competition of American wines in the world, has once again successfully narrowed thousands of wines down to an exclusive few. A complete listing, accompanied by price points, can be found at winejudging.com. In the second week of January, 63 judges from a variety of fields including trade, education, media, retail and hospitality, traveled to the Cloverdale Citrus Fairgrounds in Sonoma County to apply their expertise to determine the best wines in the USA. Utilizing an extensive process that divided the varietals into several categories and subcategories, the event gave the panels the chance to rate entries as Bronze, Silver, Gold or “Double Gold” (equivalent to a unanimous rating by all panel members). Only 7 entries were honored with the prestigious Sweepstake Award in the categories of Sparkling, White, Pink, Red and Dessert/Specialty wines. The best wine label was also judged and awarded a Sweepstake Winner designation. Also recognized for extraordinary quality was a list of American award-winning wines, all of which were honored with the Best of Class Awards. Each of the Best of Class winners were categorized to provide consumers with an easy reference guide to delicious and affordable wines based on insights from industry specialists. A complete listing of winners in each category can be found under the “Medal Winners” section at www.winejudging.com. 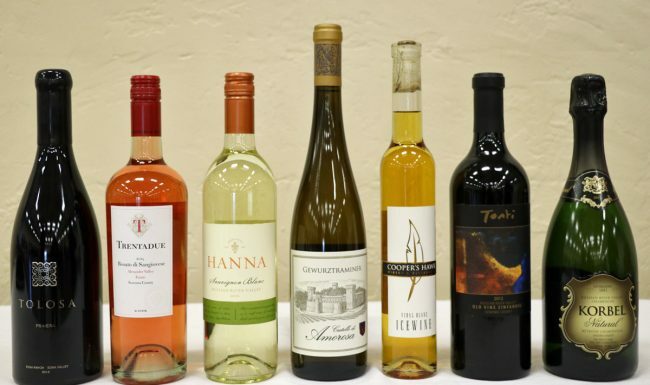 The public will have a chance to taste many of these award winning wines at the San Francisco Chronicle Wine Competition’s Public Tasting, happening February 18 from 1:30-5pm at the Fort Mason Center’s Festival Pavilion in San Francisco. Follow the San Francisco Chronicle Wine Competition on Twitter @Winejudging for info on the event and for special contests, including ticket giveaways, leading up to the public tasting. About the SFCWC: Founded in 1983 as the modestly sized Cloverdale Citrus Fair Wine Competition, the current competition has evolved immensely over the years, expanding its eligibility to wineries throughout the United States. In 2000, the event gained sponsorship from the San Francisco Chronicle and appropriately assumed the title the San Francisco Chronicle Wine Competition. The Cloverdale Citrus Fair, host of the SFCWC, supports wine and food education at educational institutions and nonprofit organizations. 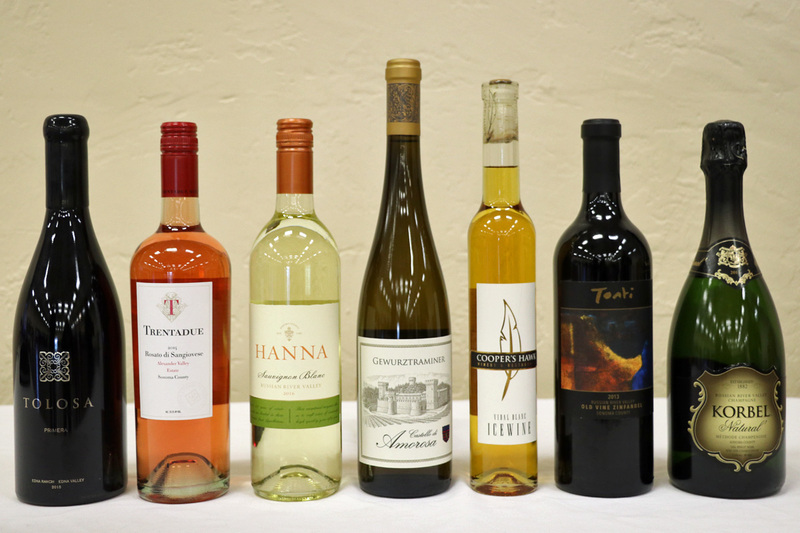 Leftover wines from the competition are often donated to wine programs at the Santa Rosa Junior College, Fresno State University, Sonoma State University, California Polytechnic State University in San Luis Obispo, and other non-profit organizations.